If someone asked you where a bicycle wheel begins, you would know that was a trick question. 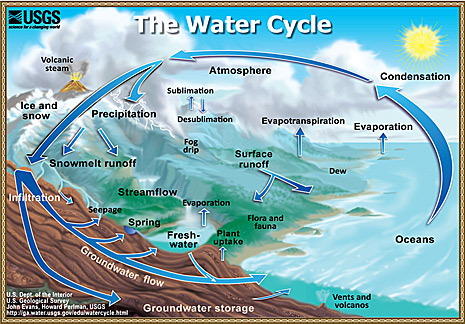 So, the mention of the word "cycle" in "water cycle" is a hint that the water cycle has no beginning or ending. But if it did, where do YOU think it would begin? Make your choice from the list below and then see what others think.